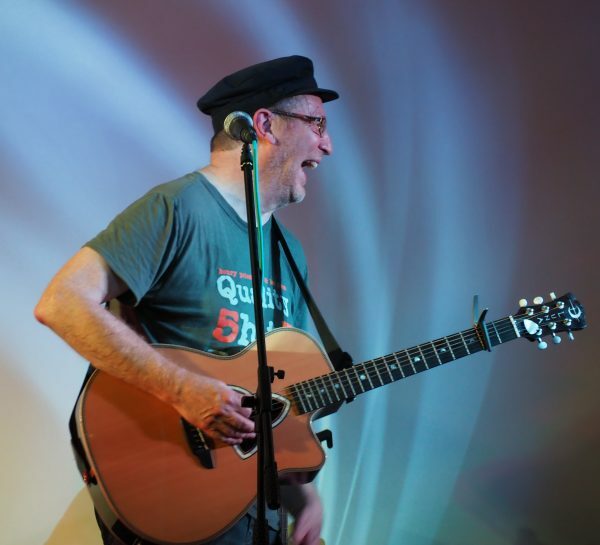 We promote a number of live music events each year with the aim of widening the cultural offering for the community and raising funds for the ongoing maintenance of the Hall. 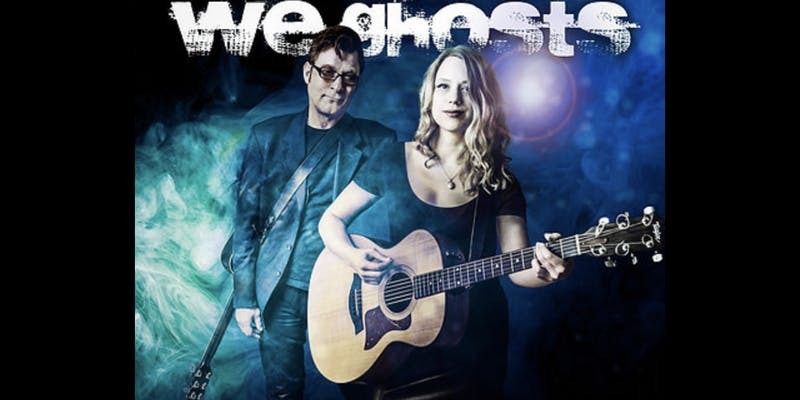 The events we promote are predominantly across Acoustic, Folk, Country, Americana and Blues styles and in the last year we have hosted touring artists from Canada and the USA as well as artists well known to a UK audience. 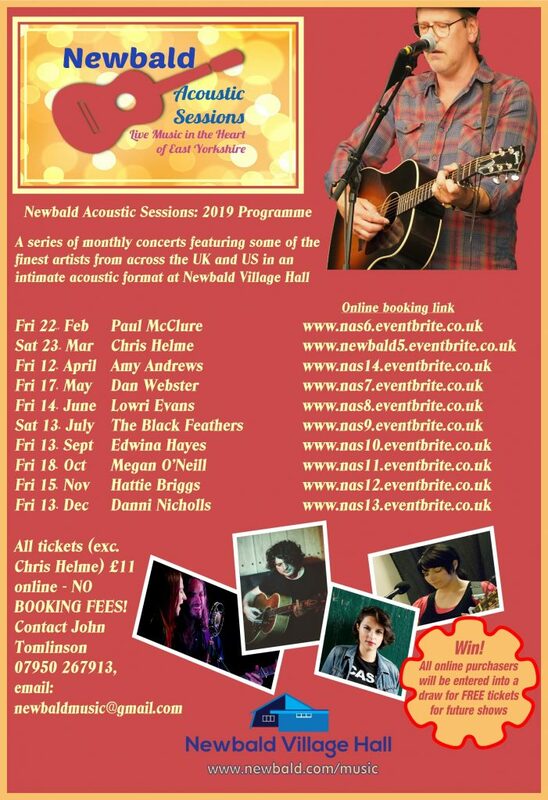 In 2019, Newbald Village Hall will host Newbald Acoustic Sessions, usually on a Friday around the middle of the month. These will be intimate acoustic nights featuring some of the finest solo and duo acts currently playing in the UK. The schedule is below and updates are posted on our calendar, along with ticket links. If you would like to be added to our email list, sign up here. 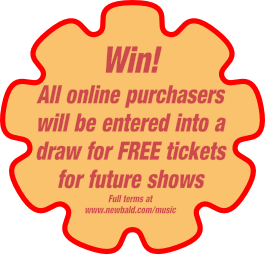 All online purchasers of tickets for Newbald Acoustic Sessions up to and including 13th July will be entered into a draw to be made on 13th July. One entry per ticket purchased. Only purchaser as shown by eventbrite.com will be eligible for prize. Winner will receive one ticket to each show from September to December inclusive. No cash value or exchange for alternative dates is permitted. In the event of any dispute the decision of the promoter is final. 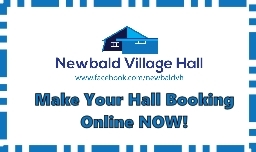 2018 has seen us demonstrate what a lovely welcoming and comfortable venue Newbald Village Hall has become, with sell-out gigs featuring bands from Canada, USA and the UK. Highlights are available on our youtube channel, available by clicking here. February saw the first visit for The LYNNeS, a Canadian duo, whose debut album has gone on to win critical acclaim as well as winning them three awards at the year end Canadian Folk Awards. 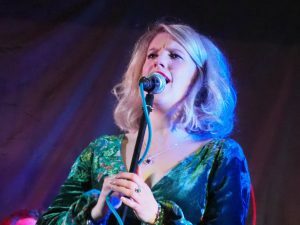 Opening the show was Rhiannon Scutt, a supremely talented young lady from South Yorkshire, while The LYNNeS set the tone for the year: a wonderful show with humour, warmth and superb musicianship. 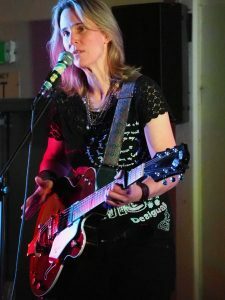 In March we welcomed Bronwynne Brent from the Deep South of the USA, a lady with a unique voice and a superb backing band. Opening act, Rachel Croft, is another young lady going places – look out for her debut album in 2019. 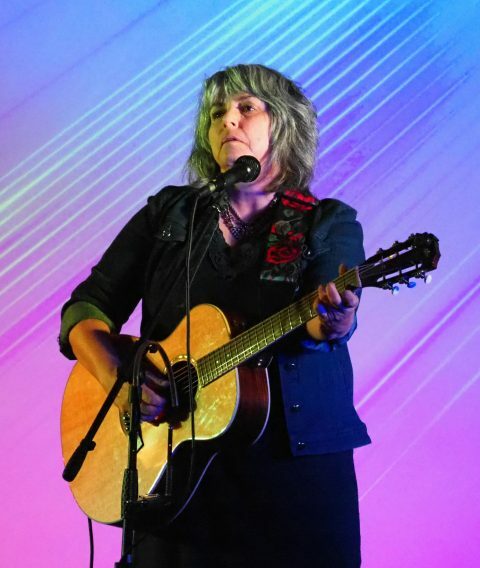 After a summer hiatus, we sneaked in a short notice gig with one of the best singer-songwriters to tour this country in recent years: Amanda Anne Platt with her band The Honeycutters. A stunningly accomplished performance left the audience asking how we attract such a quality artist all the way from North Carolina to our little backwater. Glover and the Men of a Certain Age back to Newbald – having first played in the village for 40 people in a living room concert, this time Henry sold out the Village Hall with a waiting list for tickets! A typically riotous, ribald sing-along evening sent everyone home with a spring in their step. Fred’s House. The many messages received from delighted audience members following this evening are testament to the quality of these guys. And so, on to 2019 and a slight change of format but maintaining the quality!